LOOK! It's the waterproof iPhone 7! Grab some popcorn and read on. The iPhone 7 is here. It has been a rollercoaster ride in the rumors mill with regards to the latest and greatest Apple smartphone. The fruit company breaks speculations surrounding the handset by officially announcing it to the world. So let's not keep you waiting any longer, let's do this - the iPhone 7 specs review. Everything we knew about the iPhone, so far, seems right. The iPhone 7 features a similar design to the existing iPhone 6s except the redrawn antenna bands. The protruding camera is still there yet we could say that the handset is still the best looking iPhone to date. Talking about dimensions, it is the same chassis which features the full metal anodized aluminum back. This new generation smartphone is blessed with five colors for you to choose from - Gold, Silver, Rose Gold, Black and the Jet Black. The last two hues replaced the Space Gray option. The 3.5-millimeter headphone jack is gone but Apple gave the smartphone a number of external changes. These include the revamped home button. It comes with a capacitive technology rather than the old mechanical module. Likewise, the new-generation Touch ID is now integrated with the home button together with the taptic engine which vibrates on key-press. Stunning. There's no other word to describe the current iPhone Retina HD display which is 25 percent brighter than the old model. The smaller iPhone 7 comes with the same 1134 x 750p resolution. Though it may not have a quad-HD quality, Apple's display tech could simply make you forget QHD panels exist. Underneath the display is the second-generation 3D Touch which is now faster and power efficient. Of course, it is accompanied by the M10 motion co-processor which gives you better support for fitness sensors and health monitoring. The 4.7-inch iPhone 7 packs 2GB of RAM while the bigger iPhone 7 boasts 3GB of Random Access Memory. Combine this hardware with iOS 10, it'll bring the best smartphone experience on the table. We were very happy with the addition of the Low Power Mode in iOS 9 on top of the efficient battery life of the iPhone 6s. Now, the iPhone 7 tallies 14 hours on 3G and 40-hour music playback. Since the handset is equipped with two high efficiency cores. Expect that to have longer mileage when doing normal to moderate activities. 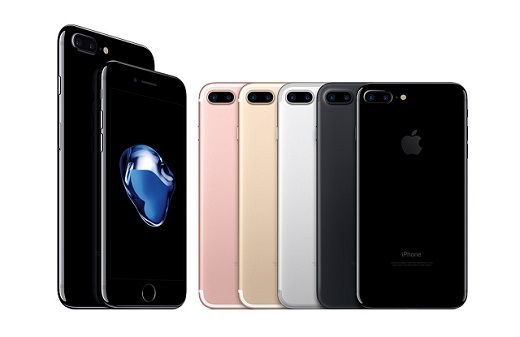 Apple is banking on its bold moves in the camera department to sell millions of iPhone 7. This year, the smartphone’s iSight camera owns the spotlight. Both iPhone 7 models will have 12MP camera sensors with the same 6-element lens. Both also have Optical Image Stabilization. 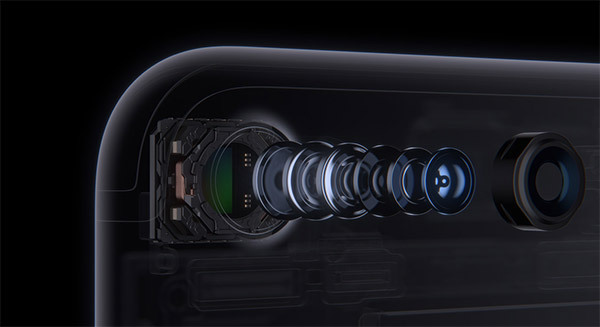 The standard iPhone 7 rocks a larger 1/2.6" sensor, f/1.8 aperture and 1.3-micrometer pixel size for best low-light performance. For the purpose of comparison, the last year's iPhone 6s settled with 1/3" sensor, no OIS and f/2.2 aperture. The bigger handset carriers more muscle with its dual-lens camera set-up called the iSight Duo. One module is a wide-angle lens with f/1.8 aperture, the other is a Telephoto lens with f/2.8 aperture. It is also the first smartphone to rock 2X optical zoom. Apple highlights the Bokeh capability of the iPhone 7 Plus camera. Its depth mapping allows the smartphone to Focus on the object while blurring the background. This feature will be rolled out later this year as a software update. Moreover, both iPhone 7 will have four Quad LED True Tone flash – two warm-tone LEDs and two cool-tone LEDs. Apple finally treated the iPhone hardware with IP67 rating making the device water-resistant up to 1 meter for at least 30 minutes. In line with the sacking of the 3.5-millimeter audio jack, Apple has included a stereo speaker system in an iPhone for the first time. Both speakers are mounted at the top and the bottom of the handset to offer enhanced audio experience. In the Philippines, we are looking forward for an early iPhone 7 release this year. Will you get one?